Synapses are the power junctions that allow living creatures to function. Popularly associated with learning and memory, they play a more fundamental role in our existence by regulating everything from breathing, sleeping and waking and other bodily functions. Loss of synapses and synapse function sit at the heart of a number of diseases, not just neurodegenerative examples such as dementia and Parkinson’s disease but also conditions such as diabetes. We do not fully understand how synapses work, but new research published on Nature Neuroscience’s website has shed new light on the role of proteins in the way in which synapses maintain their signalling. The research has been carried out by an international team of scientists from: the Institute for Biology/Genetics and the Institute of Chemistry and Biochemisty/Structural Biochemistry, Freie Universität Berlin; NeuroCure, Cluster of Excellence, Charité Universitätsmedizin, Berlin; Molecular and Theoretical Neuroscience, Leibniz-Institut für Molekulare Pharmakologie, Berlin; Department of Nanobiophotonics, Max Planck Institute for Biophysical Chemistry, Göttingen; Plymouth University Peninsula Schools of Medicine and Dentistry; the Department of Genetics, University of Cambridge, and; the Institute of Pharmaceutical Sciences, Pharmaceutical Chemistry, University of Graz, Austria. 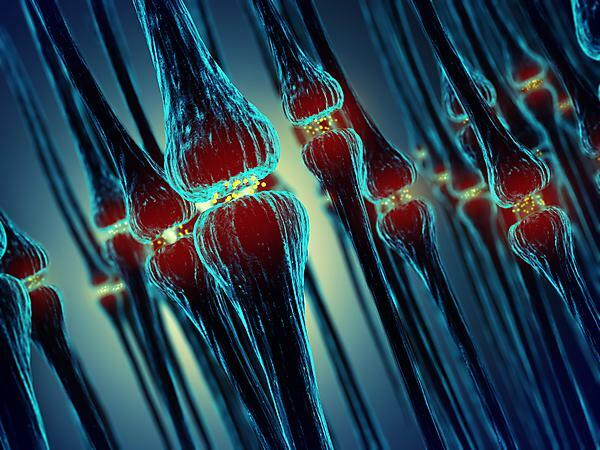 The team used genetics like a scalpel blade to remove individual proteins from the synapse to identify their different roles within the synapse, and how they maintain synaptic transmission. They used synapses from the fruit fly drosophila, which compares remarkably closely to synapses in humans. The results showed that two variations of a protein called Unc13 work separately to regulate synaptic transmission. The study is the first to show how the different forms of this protein work. The findings of the study will prove invaluable to other research studies examining the role of synapse function in the diagnosis and treatment of neurodegenerative and other diseases. A greater understanding of how synapses work may also find a role in identifying unexpected drug targets for specific diseases.